Region free for DVD and Zone B for BluRay. Out of Stock as no longer available from the manufacturer. We offer Free UK delivery, Free upgrade to region free DVD, 2 year warranty and we provide free technical support and help 7 days per week. We also update the Oppo firmware to the latest version and fully test before despatch and we always double box in very robust packaging to ensure safe delivery. We use DPD for delivery and they will provide a 1 hour delivery timeslot confirmation by text and email and they are very reliable. Saturday or Sunday delivery can be arranged for a £12 extra charge as long as stock is available – enquire by phone to check. There is no need to pay extra for the Mod kit unless you have a collection of Zone A Blu Ray discs from the USA as we make the Oppo region free for DVD so all your DVD’s will play, it is only for USA Zone A Blu ray or Zone C that anyone would need the mod kit fitting. You are welcome to phone Mark with any questions. The UDP-205 features a dedicated, high-precision HDMI audio clock that significantly reduces jitter and eliminates timing errors, which allows you to enjoy your music with increased accuracy. The UDP-205 is capable of playing the new 4K UHD Blu-ray discs as well as 4K media files and user generated content. Support for decoding the HEVC, H.264, VP9 4K, and Hi10P video codecs, providing increased compatibility with user generated media. The UDP-205 has separate power supplies for digital and analogue circuitry to virtually eliminate harmful interference. The analogue audio circuitry is powered by a massive toroidal power transformer, which offers superior efficiency and significantly lower exterior magnetic field interference compared to traditional laminated steel core transformers. The toroidal linear power supply provides a very clean and robust power source to the audio components. 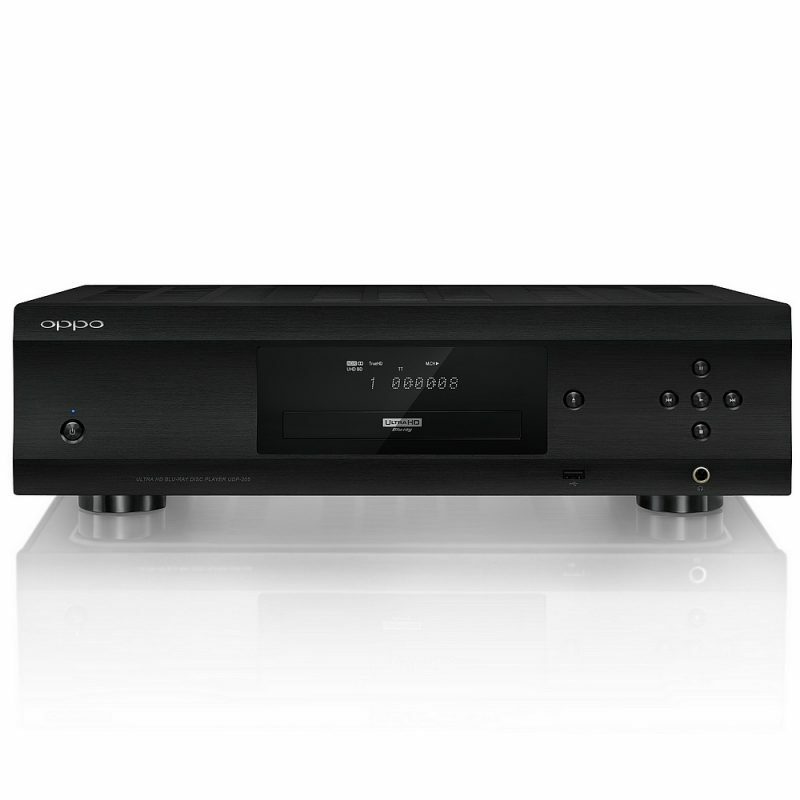 In addition to supporting the Dolby TrueHD and DTS-HD Master Audio surround formats, the UDP-205 supports bitstreaming the latest object-based surround formats, Dolby Atmos and DTS:X. These new formats add overhead sound effects to create a greater impression of 3D-dimensionality. 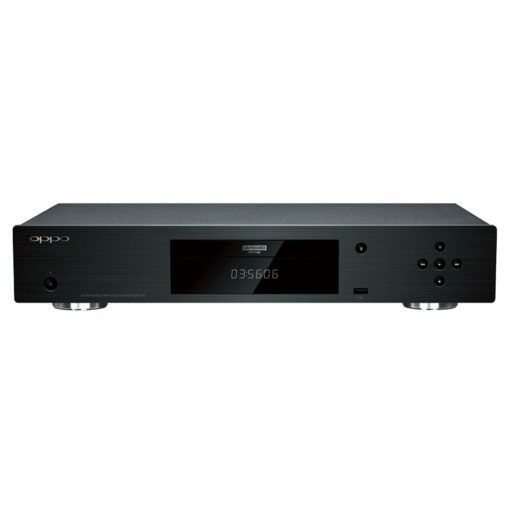 The UDP-205 is capable of upscaling lower resolution content up to 4Kx2K at 50/60Hz to a compatible display, which is four times the resolution found on a 1080p Blu-ray disc. The UDP-205 also features advanced picture controls. Adjustments can be made to brightness, contrast, hue, saturation, and sharpness, allowing the customer to make adjustments to compensate for any limitations found in their other home theatre components, or merely to adjust the image to their own personal taste. The UDP-205 features support for all current SD, HD, and UHD resolutions, including 4K@60p, 4K@50p, 4K@30p, and 4K@24p using various color spaces such as PC RGB, Video RGB, YCbCr 4:4:4, 4:2:2, and 4:2:0. With over a decade of experience developing high-end DVD and Blu-ray players, OPPO has once again teamed with MediaTek to produce and manufacture a specialised 4K UHD Blu-ray decoder SoC – the quad-core OP8591, which offers the most advanced image decoding and processing technology available for 4K UHD Blu-ray, Blu-ray, DVD and user generated media formats.